Vacationing in Maine can be a fun and unique experience. A Maine winter vacation can be a fantastic time to get away from it all and experience some true winter fun and romance. Whether you are looking for a honeymoon destination or you're planning a family vacation, the Kennebunkport Inn is a great place to consider. Lovetoknow recently talked with Debbie Lennon, owner of the inn, and asked her about all Maine has to offer. Settled upon the Southern Maine coast, this quaint inn offers comforting solitude combine with the convenient locale of all Maine has to offer. In the historic community of Kennebunkport, the inn gives guests the option to reside in either the Victorian Mansion, the Riverhouse, or the Wharfside buildings near the docks. Most rooms include water views and many agree the award willing amenities and service is worth a trip to Maine all on its own. Under the direction of Debbie Lennon, the inn has added 14 additional rooms, a banquet facility perfect for weddings, and two retail stores. After working for Sheraton Hotels for 17 years, Debbie decided to follow her longtime dream of owning her own business. Since her husband was a general contractor and she had worked as a hotel general manager in New Jersey, they obviously had the right kind of experience and concluded that working together as partners managing an inn could be a wonderful adventure. They have now been in Maine running the Kennebunkport Inn for six years and have no plans to stop any time soon! Debbie agrees a Maine winter vacation in the region of Kennebunkport is a fine idea, as it has less crowds and gorgeous landscaping. Read on for more! 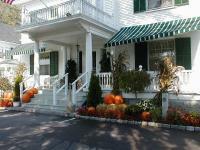 Tell us what makes Kennebunkport Inn special. The staff at the inn is what makes it special. We have a great location in Dock Square, a physical plant that has all of the amenities - pool, spa treatments, architectural detail, piano bar, restaurant and all of these things create a wonderful foundation - but it's the staff that make it special. The staff is very attentive to details, warm & friendly, and tries to create a unique bond with each guest. We view it as our responsibility to United States Travel acquaint them with the inn and with Kennebunkport to help make their stay special and unique. What do you recommend people pack if they are taking a Maine winter vacation for the first time? Warm clothes! Although the winters can vary in temperature and snowfall…if you enjoy the outdoors then hats, gloves and warm clothes are a must. The wintertime here in Kennebunkport is particularly charming and romantic. There is skating, hay rides, and great dining. 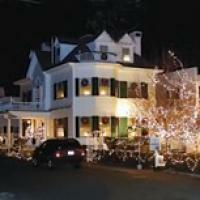 What is fun to do seasonally in Kennebunkport? Summer time offers a tremendous variety of activities- boating, fishing, visiting lighthouses, beaches, art galleries, museums, shopping and dining. Of course the fall offers much of the same but also spectacular fall foliage. In the winter, an event called February is For Lovers offers wine festivals, fantastic dining, and a chocolate extravaganza. In the winter there is also skiing, cross-country, skating and hayrides to complete the outdoor activities. In other regions of Maine? Hmm...I hate to say it but we are so busy here that we rarely get to enjoy some of the other great areas in Maine... (Lovetoknow did a little research to help Debbie out and found that visiting apple orchards and taking up the unique sports of show shoeing and dog sledding are popular throughout Maine). Are there any romantic getaways in Kennebunkport? Can you recommend some good restaurants in your area? Ours obviously, called the Port Tavern & Grille. Others include Pier 77, Cape Arundel Inn and Hurricane. (Editor's note - The Piano Bar at the Port Tavern & Grille was recently selected by Travelocity as one of the top ten must visit local spots in Maine). Are there any great travel deals or further reasons to visit in the Winter? Because the winter season is off-season, in Kennebunkport you can get some terrific values in packages offering accommodations, dinner, and amenities. Kennebunkport is quite close to the Boston, Providence, and Hartford areas, offering a location within close proximity for those quick getaway weekends. Just 90 minutes from Boston, Kennebunkport has great dining, galleries, shops and lovely inns and bed & breakfasts.Debbie Lennon is just one of many people at the Kennebunkport Inn that is looking forward to meeting you. You can find out more about the inn by visiting their official website, or calling (207) 967-2621.